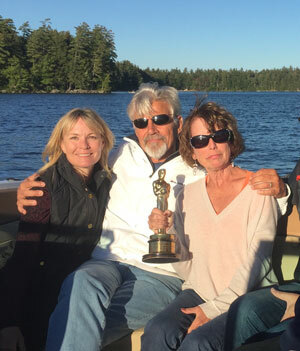 Take a boat ride with Academy Award winner Ernest Thompson and Captain Cindy O’Leary and see ON GOLDEN POND through the writer’s eyes. 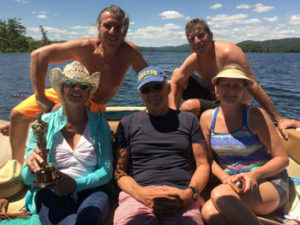 Ernest has a wealth of stories about Katharine Hepburn and the Fondas and will add his personal spin to the iconic film locations included in Captain O’Leary’s tour and, if you want, Oscar will be along for the ride. People have come from all over the world for this once-in-a-lifetime opportunity to engage one-on-one with Ernest and hear about his extraordinary life and career. Tours available from Summer−Fall. For more information and to make reservations with Experience Squam Boat Tours, click here.